Join GUAP Magazine for this exclusive Young Kings networking dinner. If you're an aspiring actor, filmmaker, scriptwriter or media mogul, this event is for you. Young Kings invites you to take your rightful place at the table to enjoy an exclusive, upscale dining experience at *Rochelle ICA alongside GUAP co-founders Jide Adetunji and Ibrahim Kamara. The evening’s guest speakers are Clive Nwonka, from the London School of Economics and Anamik Saha, from Goldsmiths, University of London. Nwonka researches black British film, international cinemas and American Independent film, and Saha’s work examines race and the media. More special guests are to be announced! Young Kings offers a safe space for sharing knowledge, experiences, stories and skills. 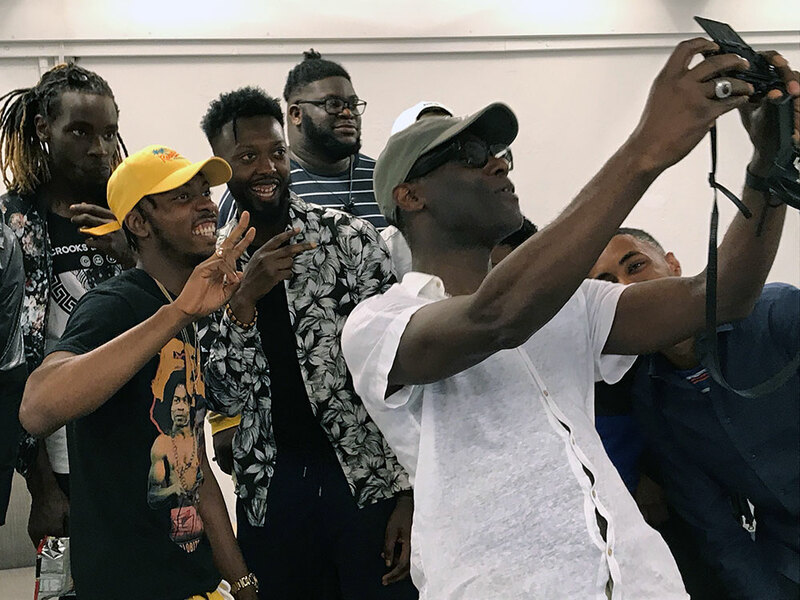 Each event focuses on increasing awareness, developing professional practice and challenging outmoded narratives about masculinity, blackness and culture. The Young Kings experience connects you with intergenerational roster of guest speakers and inspiring creative role models. It is a supportive networking event exploring the context surrounding being a creative black man in London. Apply now to develop new understandings of your potential within the cultural industries alongside friends, peers and mentors. - You must be 18–25 years old to apply. - You should identify as a black man to apply. - If offered a place, you will need to be available to attend Young Kings on Thursday 1 November, 6:30–9pm. 1. Why are you a Young King? 2. Which area of the creative industries are you interested in and why? 3. How will this exclusive Young Kings dining experience support you in your aims? - You must respond to these questions for your application to be considered. The deadline for your replies is midnight on 18 October. *A two-course set menu will be provided by the prestigious restaurant Rochelle Canteen at the ICA. A meat-free option will be available. Young Kings Networking Dinner is free, but spaces are very limited. Register your interest by 18 October by clicking the booking link.